Cumbria Community Foundation and Barrow Community Trust have been supporting Four Groves Community Association since 2006. The charity group, based in the Four Groves Estate, Risedale, Barrow-in-Furness aims to support people experiencing poverty and deprivation. Four Groves recently received £1,000 from the Barrow Community Trust to support their development of Four Groves Community Corner, a corner shop and training hub. The shop provides families and people on low income in the area with low cost produce, helping people manage their money for other necessities like electricity and gas. They have been able to provide a training hub for the people of our community as well as provide low cost foods to families on low incomes. Other agencies such as: Rathbones, Age UK and Inspiring Barrow also used the training hub and signpost people to Four Groves in order for them to train in customer service skills and retail all gaining a relevant qualification such as NVQs in Retail and Management. “We have been able to provide our families, lone parent families and the homeless with low cost produce from our community corner shop, this has helped many families on our estate save for other things they may have needed, for example if their electricity or gas had run out they were able to go and buy with the money they had saved using our corner shop. We have also been able to provide a training hub for our youth project which has seen young people learn news skill, such as: using a till, adding and taking away sums, being polite, stock taking, and shelf filling. Our community have relied heavily on our community corner shop and it is thanks to them for their support that we are still were we are now. 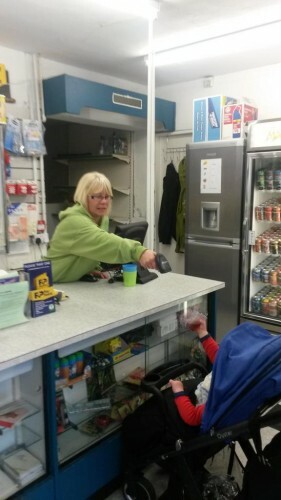 “The grant that we received was for help in setting up our community corner shop which has been a great success, not only for the people of our community but the surrounding areas as well.” said Pauline Charnley, Chair of Four Groves Community Association.